A Black Piano Finish Standing Plaque with a Blue Teardrop Plate. 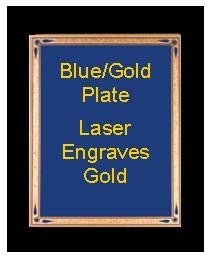 Plate engraves gold. Engraving is included. Plate Size is 4" x 6".